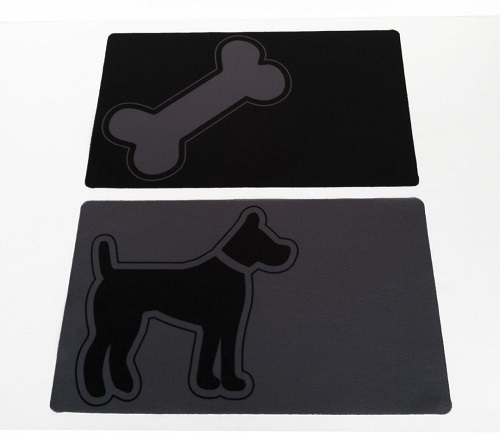 Protect your floors with a stylish Dog Diner Feeder Bowl Mat designed to complement a variety of dog feeder and bowl sizes! Made of a special non-skid fabric that won´t allow moisture to soak through. Machine washable. Made in USA. Medium Single - 12" x 12"
Large Single - 15" x 15"
Small Double - 12" x 20"
Medium Double - 14" x 22"
Large Double - 16" x 26"
This product takes 1-2 business days to ship.